It is very important to maintain the whole body healthy and to have good body posture. However, sometimes it can happen that the spine is slightly curved. There are many spinal deformities, such as scoliosis, lordosis and kifosis. When one mentions curvature of the spine, he/she usually refers to the condition that is medically called scoliosis, which is the curvature of the spine to one body side. 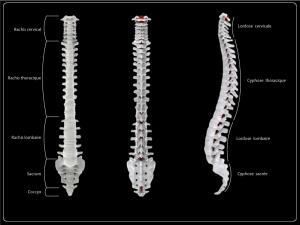 Any part of the spinal column can be bent to one side. However, two types of scoliosis are the most frequent. Thoracic scoliosis is scoliosis in the chest part of the spine, while the other common curvature of the spine occurs in the lower part of the back and is called lumbar scoliosis. Even in 80% of cases, the exact cause of scoliosis cannot be detected. Such scoliosis is called idiopathic scoliosis. On the other side, there are certain causes that are responsible for the occurrence of this spinal deformity in the remaining 20 % of cases. Certain neuromuscular conditions may lead to the scoliosis. These neuromuscular conditions affect the nerves and the muscles that are around the spine. The most common neuromuscular conditions are muscular dystrophy and polio syndrome, as well as cerebral palsy and neurofibromatosis. Furthermore, when the bones of the spine did not form properly while the fetus was in the womb, then scoliosis develops. Such scoliosis is then called congenital or present at birth. In many cases, the spine becomes curved to the side due to the different heights of the legs, constant leaning to one side, bad body posture and hard exercises. The symptoms of scoliosis are usually easily detected by close observing. The person with this condition has uneven shoulders and one shoulder is higher than the other. Since the spine is curved to one side, the head is not centered directly above the pelvis. Moreover, uneven waist happens due to uneven hips. One hip is more prominent. It also occurs that one shoulder blade is also more prominent than the other. People with scoliosis usually do not have symmetric ribcage and the ribs are not at the same height. The spine usually looks like the letter S and it can be seen the best when the person is bent down. Sometimes when the scoliosis is severe, it can be very painful. In most cases of severe scoliosis, the pain is sharp and appears in the back. It is usually accompanied by breathing difficulty. what symptoms can scolliosis cause?